This is the simpliest pulao i have ever done.It calls for very few ingredients. Heat oil in a heavy bottomed pan and saute the cumin seeds until they crackle. Add the boiled peas,carrot and salt.Stir fry for a few minutes. 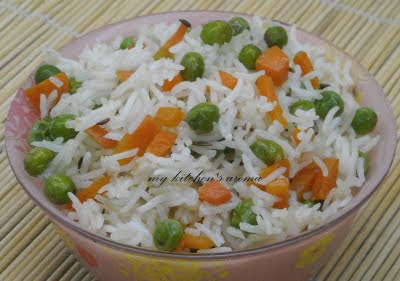 Gently fold the cooked rice into the peas and carrot.Serve hot with curry of your choice. Like the colour of it... healthy one. 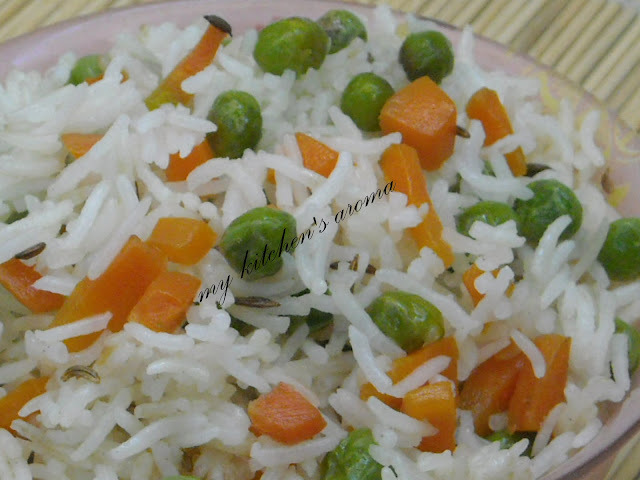 Just love this simple pulao, looks colourful and kids will definitely love this.. 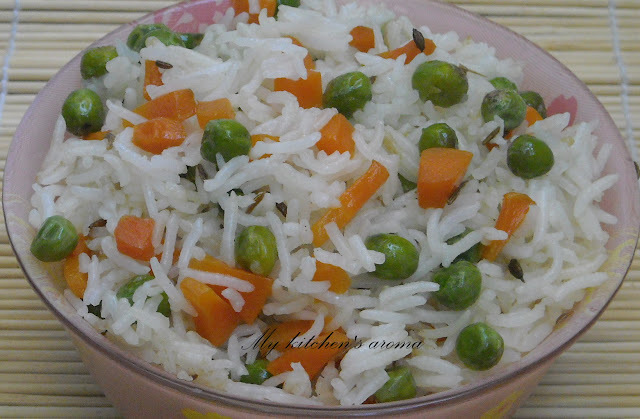 Carrot and peas pulao looks so colorful. The recipe is so simple, quick and time saving. Great! Nice combo, pulao looks delicious. lovely pic. looks so delicious. Simple and delicious pulao. Great with any curry!